The JCC hosted 275 partygoers for a festive “Center Celebration” filled with community, dancing, music and barbecue. 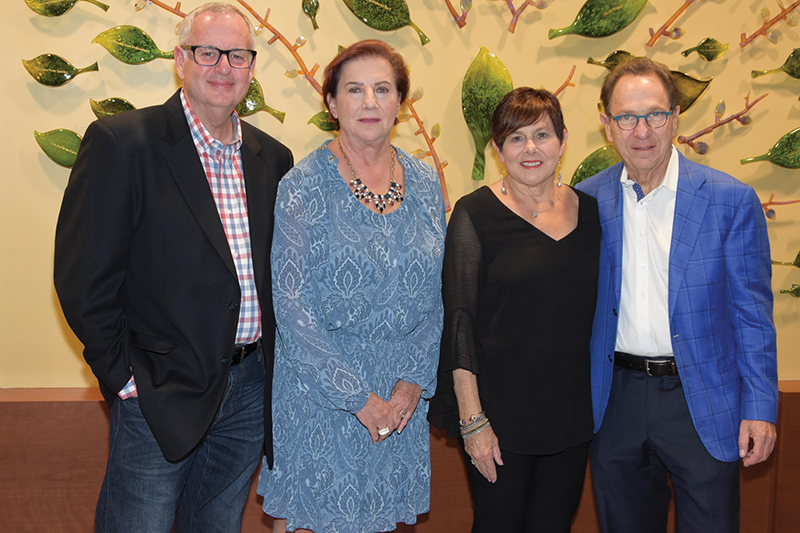 The annual “Center Celebration” at the New Orleans Jewish Community Center brought the community together for a “Sweet and Saucy Night at the J.” The celebration also benefits new programs and improvements to the center for the coming year. The festive party atmosphere in the Mintz Auditorium put partygoers in a dancing mood. The event featured a spread of Kosher barbecue by Kansas City grill master Adam Glass, who flew in to prepare the barbecue and sides. Patrons also enjoyed full open bars and specialty lemonade daiquiris to pair with their meal. Co-Chairs were Ellen Kempner Sucherman and Emily Kupperman. Funds from this year’s event directly support the JCC’s Nursery School, Summer Day Camp scholarships and the ACE (Alzheimer’s Care and Enrichment) Program.